The following is based on excerpts from Maria Adebowale Schwarte's new book, The Place Making Factor: A Catalyst for Disrupting Environment and Social Grant Making. The successful development of grantmaking, philanthropy, and funding for environmental and social projects depends heavily on just how it deals with place and inclusion, Adebowale Schwarte argues. Fundamentally, it’s about creating a monumental shift in the culture and the political standpoint to placemaking and place. 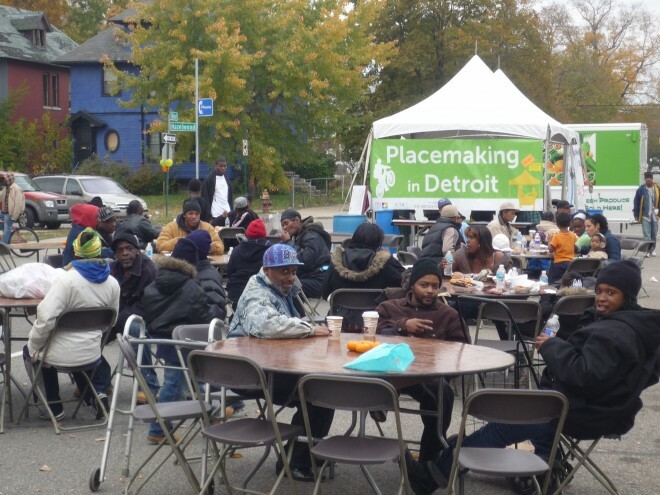 Foundations are using placemaking to resourcefully pull together partners and leverage broad impacts, like Kresge Foundation has done in Detroit neighborhoods, and beyond. As discussed recently at the Habitat III conference in Quito, a strong part of this goal is placemaking and the ability to leverage its impacts for both rural and urban living. What a city looks and feels like at the neighborhood and street level is a significant factor for investment in the area, the people, and business. And the health and resilience of a city is massively defined by its physical setting, the activities that happen there, and the quality of a place. The grantmakers I spoke to in the US and the UK showed an interest in placemaking. Cities like Rotterdam, Stockholm, London, New York, Detroit, Pittsburgh, and Philadelphia understood the placemaking factor, and its power to fund environment and people as part of systems change. And at the heart of that change is using placemaking as a convergence model for grant makers and charitable foundations, or philanthropists to provide donations, grants, and capital investment. 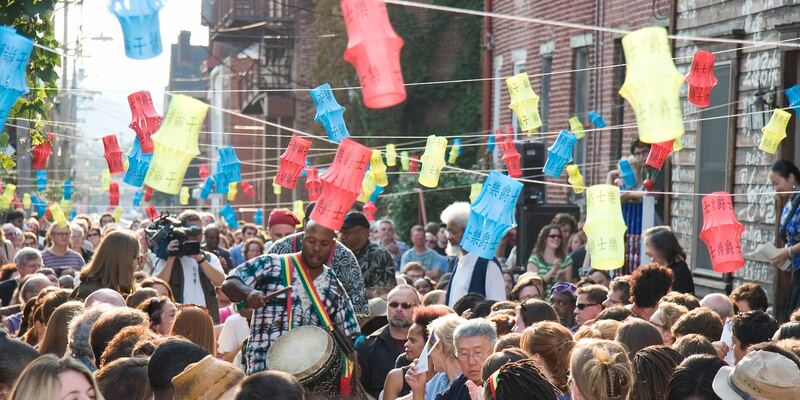 Arts-based placemaking efforts—like Pittsburgh's City of Asylum project pictured above—have been working to shift the grantmaking and funding conversations to focus more on people, places, and community engagement, though are usually not yet place-led. What’s essential for all any philanthropist, foundation or funder is to remember that placemaking is a "place-led model, not a place-based model." The latter focuses on getting grants or funds into "cold spot" areas that have previously received them. The former leads with a common interest in a place, then aims to create spaces where people can learn, validate, and share common interest as they develop economic, social, and environmental assets. Philanthropists or organizations that fund placemaking may have to confront significant issues like a rolled backed state, the passing on of public spaces to communities without adequate resources, or the loss of public spaces and places. There’s an urgent need to develop new models for placemaking to build resilience to austerity, local authority cuts, and land banking. This is a prerequisite for placemaking and democracy. Step up and invest in placemaking, share the learning, the failures and the wins, and ask challenging questions about the social and inclusion benefits of a project. Funding placemaking requires asking (and answering) questions such as: How is the project going to work with the deprived communities? ; How is it going to create training and jobs or community business? ; And how does the project fully support and partner with diverse or excluded communities? As one interviewee noted, “What we have to do is long term investment for local people and social enterprises that could become big and impactful before and beyond three years.” Gifting or funding for the short term rarely helps to cement successful projects beyond the point of a test bed or pilot project. Many place projects need up to ten years’ grant support, and support proposals that are outside the box and not from the "usual suspects." Austerity cuts are already having an impact on public sector funding. Local authorities and federal states are reporting worryingly significant percentage cuts in planning, and community and environmental services. But the exciting thing about the placemaking factor is that it offers a brilliant model for cross sector collaboration and community co-creation. Maria is Director of the London based think tank and consultancy, Living Space Project and she is a Senior Fellow at PPS, with whom she is establishing the international Philanthropy for Placemaking program. We will be convening a workshop on Placemaking for Philanthropy in London in June, and a talk about The Placemaking Factor in New York, April 4th, 4pm at the PPS office.